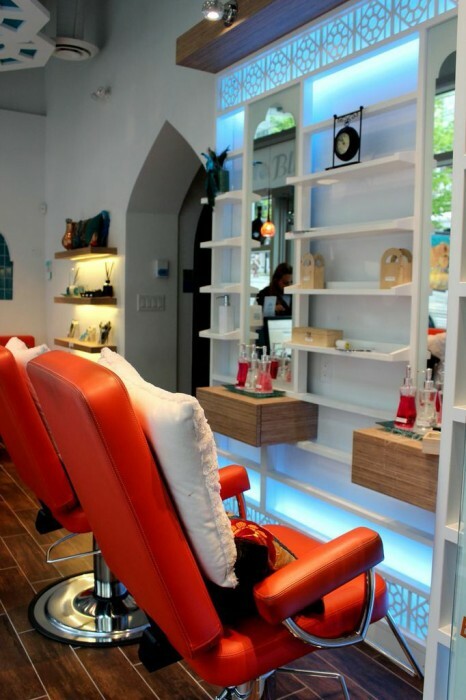 We realize that when it comes to having your brows threaded in Vancouver you have several options to choose from. But it’s also true that anything you do for beauty should be an experience and we are devoted to giving you a unique experience at Blink Brow Bar! Let us walk you through the Blink Brow Bar experience from the moment you walk in the door to the moment you walk out with your fresh brows! Book your appointment by calling us at 604.428.BROW (2769) or effortlessly by using our customer-friendly online booking system. Just follow this link, provide a few details, and choose your preferred services and time. Once you’ve booked you can confirm, cancel, or re-schedule with just a few clicks. We’ll welcome you to our Brow Bar by asking you if you have any particular health needs or concerns we should be aware of, as your health and comfort is of the upmost importance to us. We also believe no beauty appointment is complete without chocolate so please help yourself to our complimentary selection! We’ll then ask you to sit back and relax in one of our comfortable chairs while your brow specialist discusses the ideal brow shape for you. Don’t know which one is right? Our brow specialists are trained in the latest beauty trends and will be able to recommend a stunning option! Afraid of over-threading your brows or have had a bad experience in the past? Not to worry! Our brow specialists will draw a perimeter around your natural brows with a removable white crayon so that you can rest assured knowing your brows will be a certain thickness. 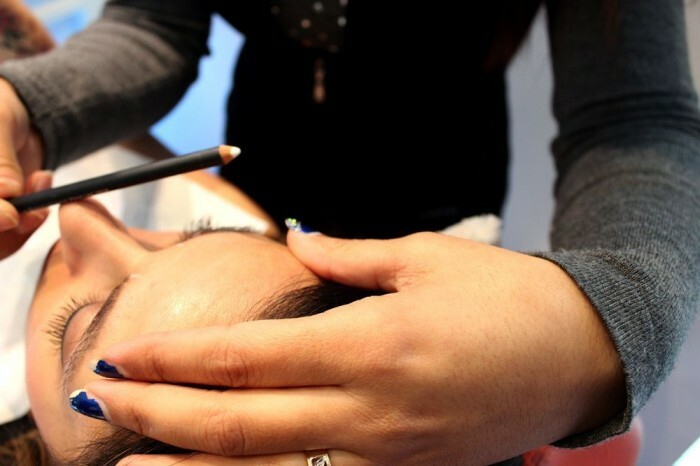 We’ll put calming pads on your eyes so you can relax you while we work your brows into perfect shape. 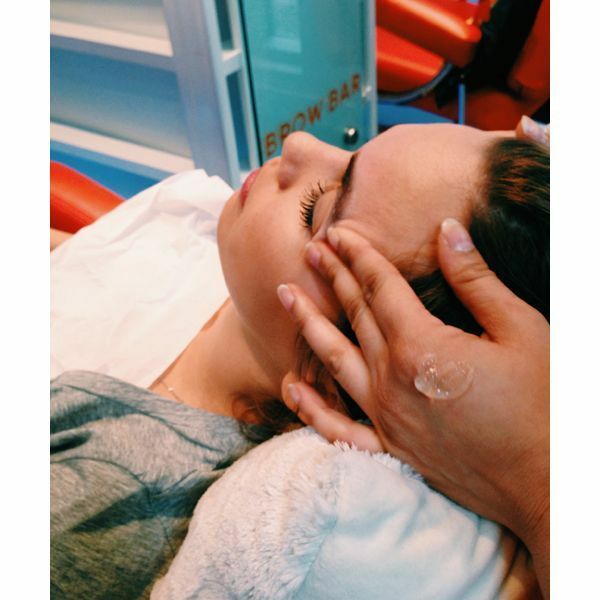 Once we’re finished our brow specialists will give you a hand massage while you sit back, just another special element involved in the unique experience at Blink Brow Bar. Once your brows have been threaded and the brow specialist and you are happy with your beautiful new arches you have the option of a rose-water or aloe gel brow massage. Finally, we complete the look with brow wax and highlighters from our Blink Brow Bar brow palette. We never forget to offer a complimentary, homemade Chai tea to-go on your way home! 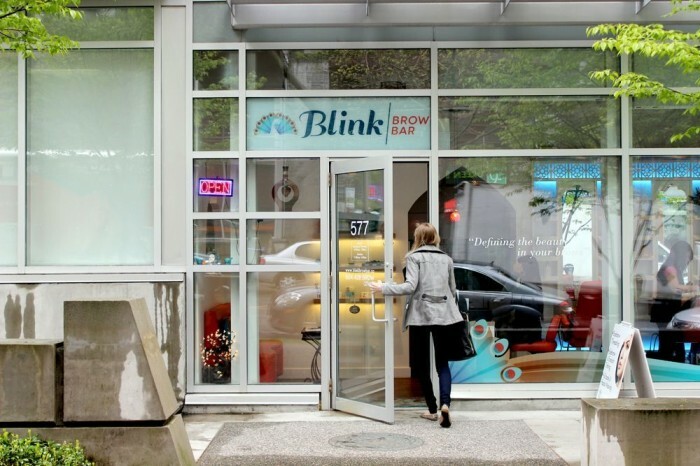 We hope to see you soon for your unique experience at Blink Brow Bar!